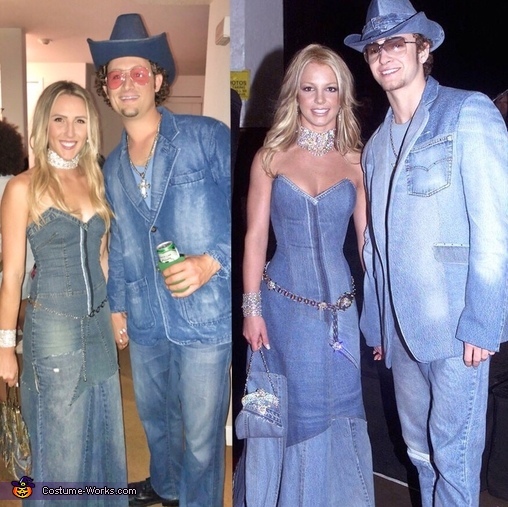 Jenna is dressed as Britney Spears and Ryan is dressed as Justin Timberlake in their iconic denim look from the 2001 AMA red carpet. We relied heavily on second hand stores and eBay for the pieces to this costume. For the Britney dress, we bought a tube top denim mini dress and a denim maxi skirt and used fabric glue, stitching, and prayer to hold it all together.